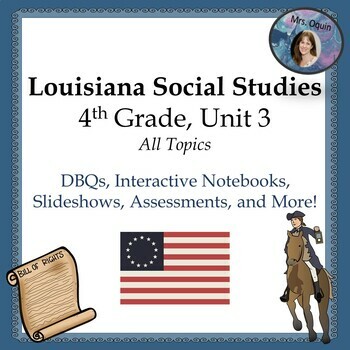 If you teach social studies in Louisiana right now, you know it can be challenging to find resources that align to the state assessment. Your textbooks, foldables, videos, and other resources are not bad – they just aren’t enough! The recent shifts in social studies require students to use a set of sources and what they have learned in social studies to answer questions that look nothing like “traditional” elementary social studies tests. The rigor has increased, and students are expected to analyze sources, make inferences based on prior knowledge, and explain their reasoning. The resources included in this set were designed to work with what you already have, while focusing on key themes and standards. Through the DBQs, students will analyze sources, debate, and write essays similar to those on the LEAP. 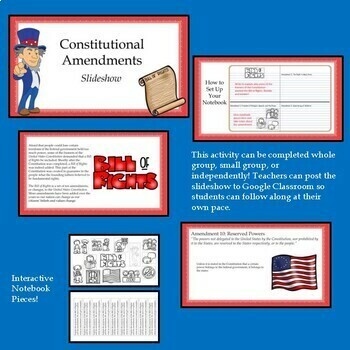 The slideshows and interactive notebook pages provide explicit instruction, which is also critical for learning. Response journal prompts allow students to internalize what they have learned and to express their understanding in writing. Quizzes and assessments are aligned to the LEAP, and standards are available at the beginning of the documents. Also included in this set is a suggested pacing guide, aligned to the Louisiana Scope and Sequence and letting you know when to complete the activities in that document. 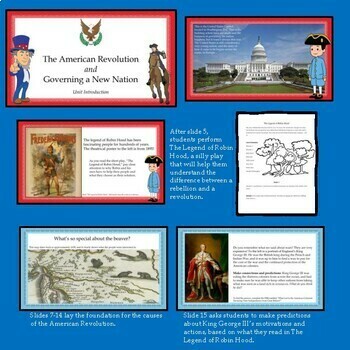 Directions for using each of the resources are included – sometimes with pictures! Management, engagement, and organization tips are sprinkled throughout the resources as well. There is a lot of information here, so be sure to read through everything ahead of time. If you have any questions, please feel free to contact me! 6 – Betsy Ross and the American Flag: Fact or Fiction? 16 – DBQ: How Have Voting Rights Expanded Since the Founding of the United States of America? 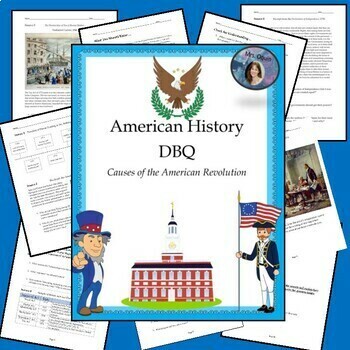 19 – DBQ: How Can Citizens Peacefully Change a Nation?